New Year's is quickly approaching and I have no idea what polish I'll be wearing on my nails. 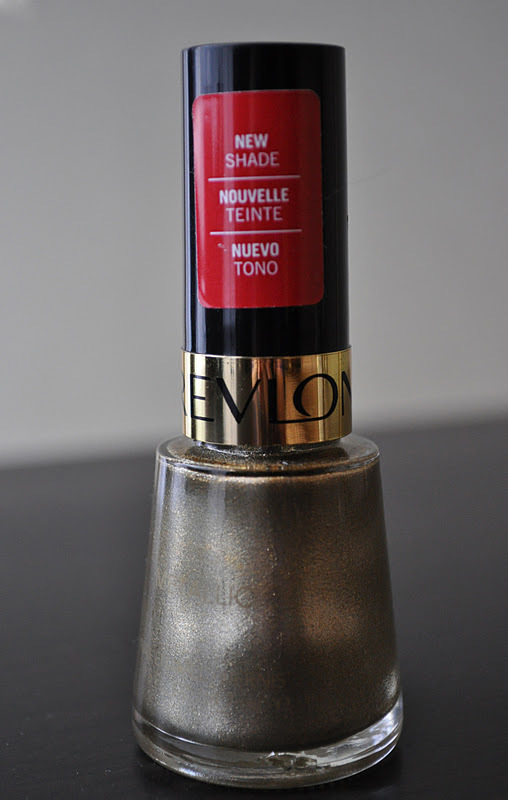 Here's one possibility, Revlon's Gold Coin paired with Sephora by Opi's Looks Like Rain, Dear. 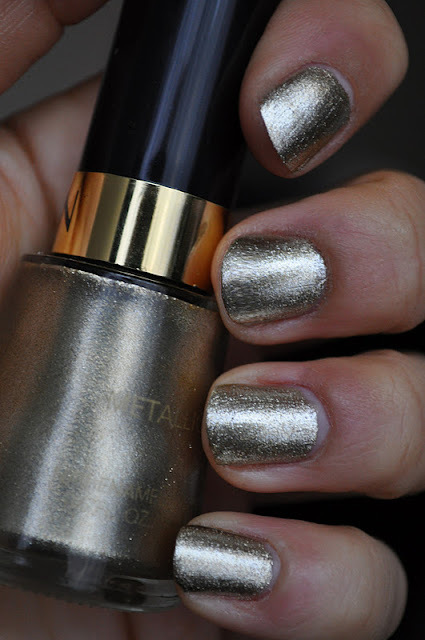 Gold coin is a cool toned silvered pale gold polish with a metallic finish. This polish gives a pretty foiled look. 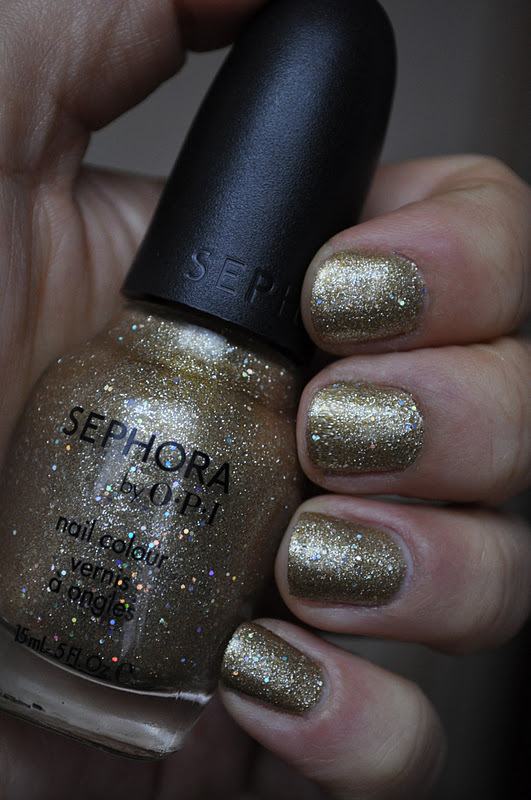 Look Like Rain, Dear is a stunning gold glitter lacquer with multi-colored twinkle. Sephora by Opi's Looks Like Rain, Dear over Revlon's Gold Coin. I really like this pairing, the Gold Coin tones down and gives Looks Like Rain, Dear a cooler tone; while also enhancing the the paler gold glitters in the polish. What are some of your favorite glitter/polish combinations? 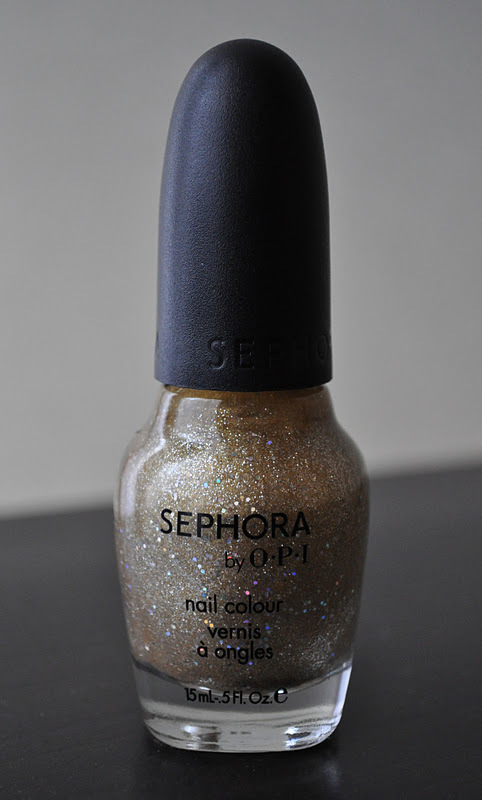 I need to find my camera so I can take better pictures of glitter polishes. Looking at yours is making me smile with joy! Thanks Ari, looking forward to your post!